Brett Smiley, a gay mayoral candidate in Providence, R.I., may have released the most adorable campaign ad yet. 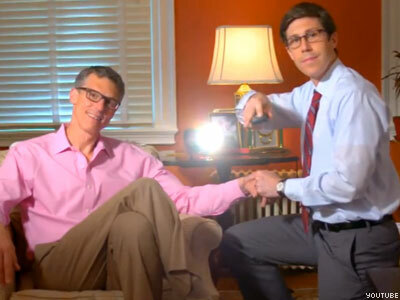 A gay candidate for mayor of Providence, R.I., may have released the best campaign ad this year. Brett Smiley, a progressive Democrat, released an ad titled “Man With a Plan,” which illustrates how, from childhood to adulthood, Smiley has taken the initiative in getting things done. From brokering recess deals with administrators in fifth grade to proposing to his partner through a PowerPoint presentation, Smiley demonstrates how being gay is not only a nonissue — it is also an asset that will make him a better leader. Watch the adorable political ad below.